Almost every couple we work with has been on the fence about writing their vows at some point. If it’s not for you, it’s not for you – but for those of you still deciding: we highly recommend it. 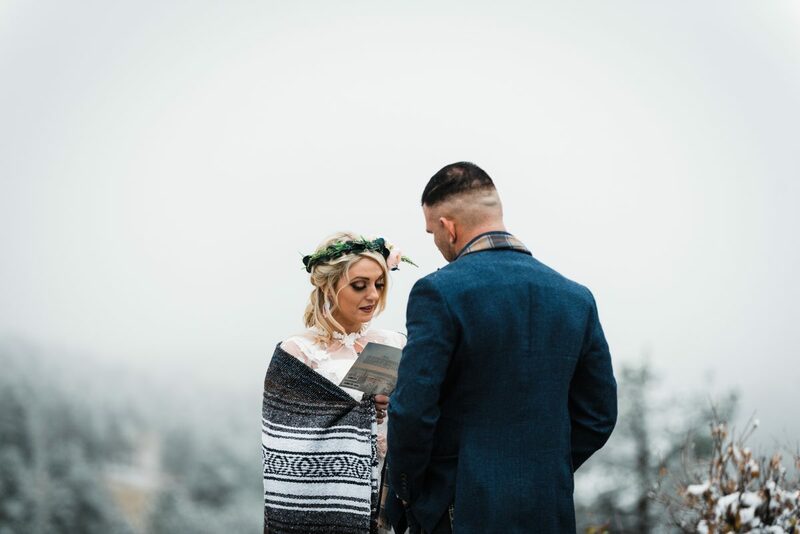 Exchanging written vows can elevate a simple ceremony to a very touching and personal moment. Here are some tips for getting through the hard part, actually writing them! 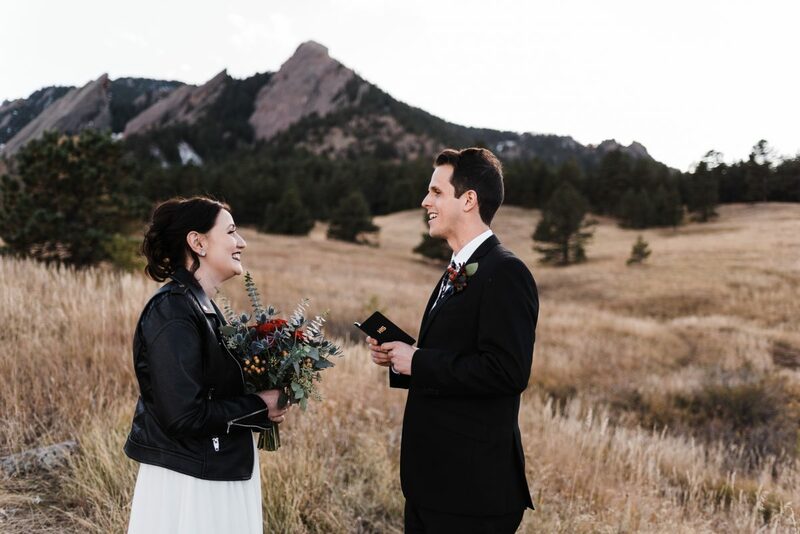 Before you worry about working on the vows themselves, a really fun and helpful exercise is to take a few days and make a list of all the specific little things you love about your partner. Then use that list to help you come up with broader ideas about why you love your partner and your relationship together. While you should write your vows in private, sit down with your partner and discuss the tone of your vows and approximate length. Half the anxiety of vow writing is one person thinking they’re going to pour their heart out into a 10 minute speech while their partner makes a short and sweet joke about their future together. Future: “I promise to always be there for you, to give you space to grow and to treat you with kindness and respect. You can fill in the rest with sweet memories and inside jokes! Aim for less than two minutes of speaking time. If you can, try to write your vows by hand on nice paper. Handwritten vows make for great photos and keepsakes. That being said – just get them down anyway you can! Whether it’s on a hotel notepad, the back of an envelope, or jotted down as a note in your phone, just write them! This is the fun part! Keep your vows hidden from your partner until the ceremony for maximum effect. It’s your wedding day, you both win.